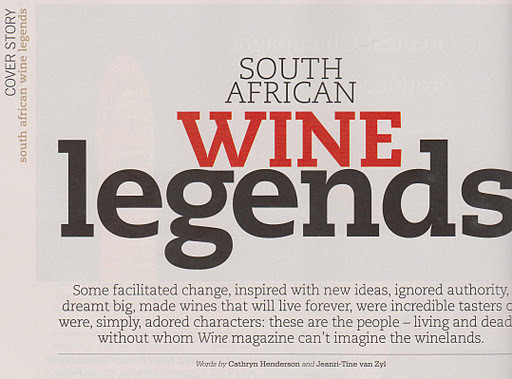 In the final (printed) issue of Wine Magazine (Sept/Oct 2011) they featured “South African Wine Legends” Past, Present and Future without whom they can not imagine the winelands. Adi (a future legend) and his father-in-law Jan ‘Boland’ Coetzee (a present legend) BOTH made it into the selected few, among greats like Tony Mossop, Charles Back, Günter Brözel, John Platter and neighbour / fellow Swartland Revolutionary Eben Sadie. Although we believe Adi already has legend status, we are honored. The Badenhorst Family would like to bid a fond farewell to Wine Magazine, that has been with us for almost 2 decades. We thank you for the support, exposure, positive ratings, up to date news and your contribution to the South African Wine industry as a whole. Hamba Kahle, and good luck with your new online ventures. Follow Wine Magazine on twitter to stay in the loop! 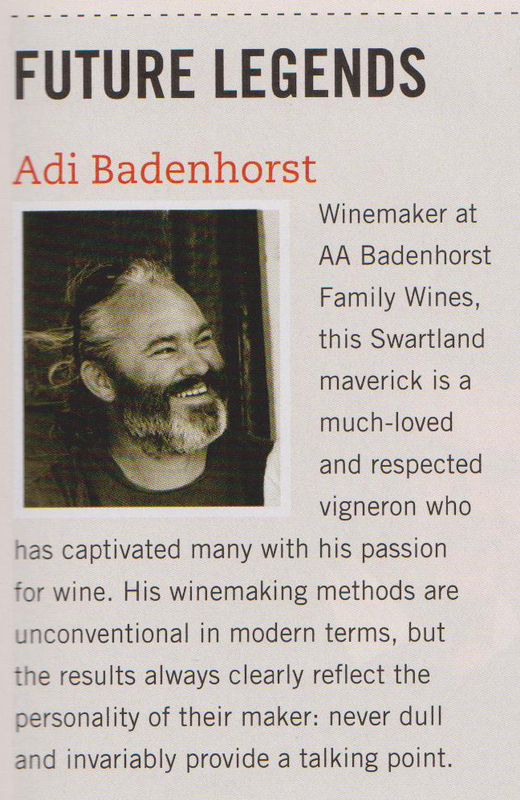 This entry was posted in Adi Badenhorst, eben sadie, Jan Boland Coetzee, South African Wine, Wine Magazine by quietriotgirl. Bookmark the permalink.